I have to share this new kit from Sahlin Studio. 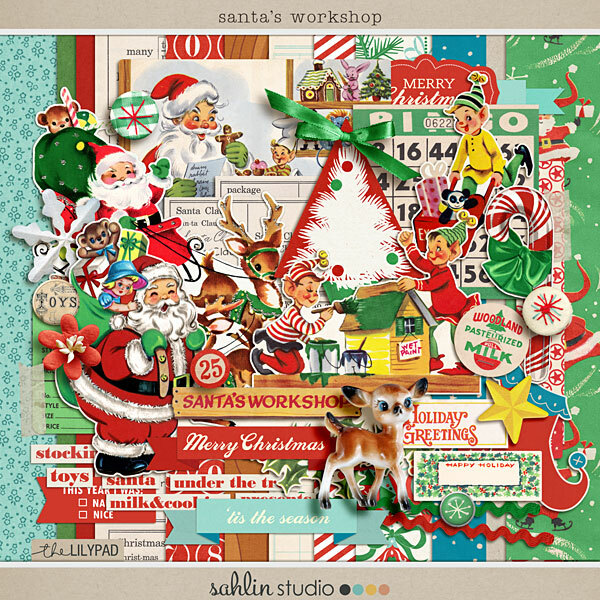 It's called Santa's workshop and is soooo absolutely retro! 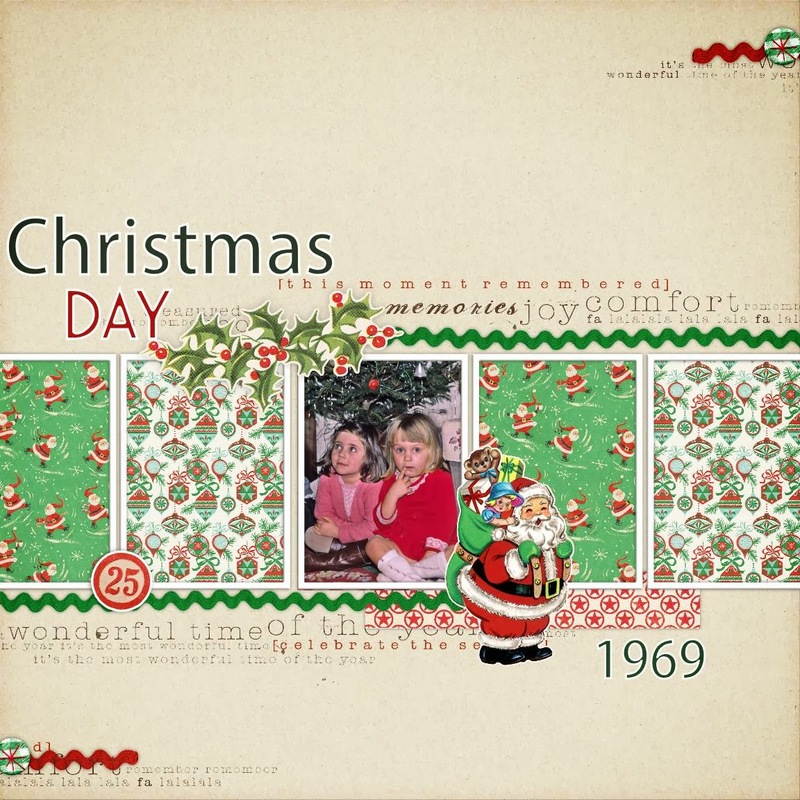 I think that anyone who remembers Christmas as a child in the 60's and 70's will relate to it. 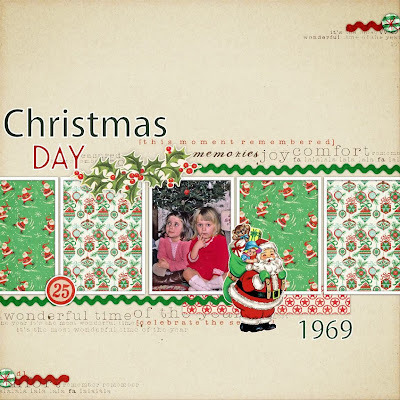 I've used it to scrap this page of me and my cousin at Christmas in 1969!. Such a magical time and impossible to recapture...but I've had a good try lol. I've made the material sheets into panels as they remind me so much of the wrapping paper at the time. The Father Christmas character is exactly how I remember him too! I have no idea why I look worried as Christmas was always a very happy time...although I did always fear meeting the actual 'real' Santa (I wasn't good with strangers lol).